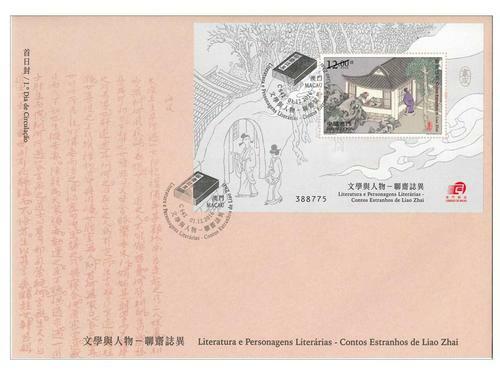 Stamp Issue "	Literature and its Characters – Strange Tales of Liao Zhai"
Strange Tales of Liao Zhai is a collection of Classical Chinese short stories written by Pu Songling, a famous novelist in Qing Dynasty of China, comprising more than 490 short stories in total; the stories cover a wide range of subject areas with rich content. 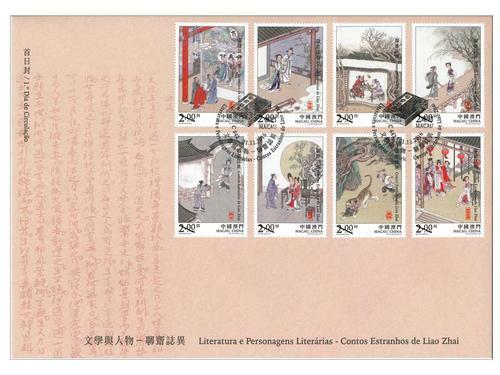 It is filled with Pu Songling’s lifetime effort, although the stories are mainly about the sceneries of nether world and land of fantasy, as well as matters related to ghost foxes and flower monsters, it circuitously reflects the broad social phenomena and people’s daily life during the late Ming and early Qing Dynasty. 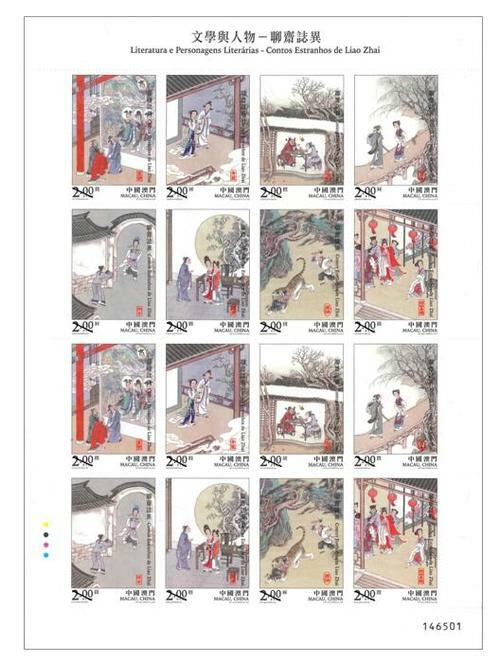 The work had successfully created numerous artistic models, with vivid and lively characters, as well as twisty and intriguing story plots, which can be deemed as the pinnacle of the Classical Chinese short stories. 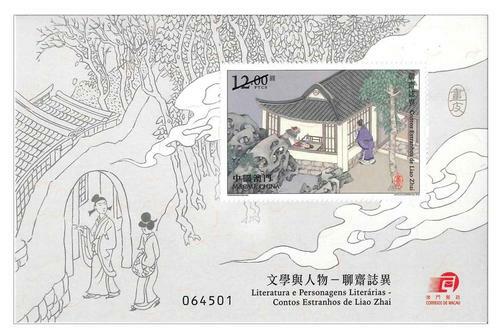 Macao Post will issue the stamp theme “Literature and its Characters – Strange Tales of Liao Zhai” on 1st December, 2016. 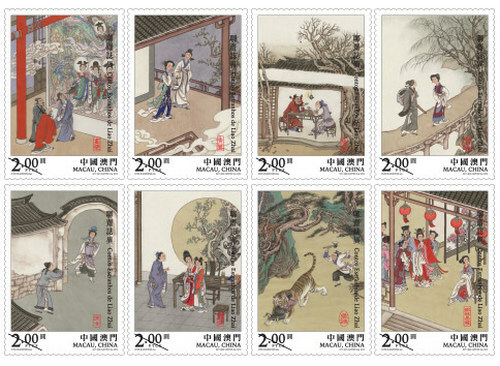 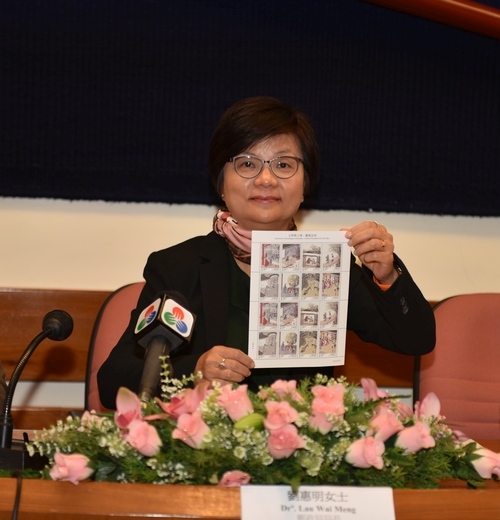 This issue includes a set of eight stamps and one souvenir sheet, the short stories of “Mural”, “Qing Feng”, “Judge Lu”, “Nie Xiaoqian”, “The Magnanimous Girl”, “Lian Xiang”, “Zhang Cheng”, “Exchange of Brides” and “Painted Skin” are selected as the stamp images. 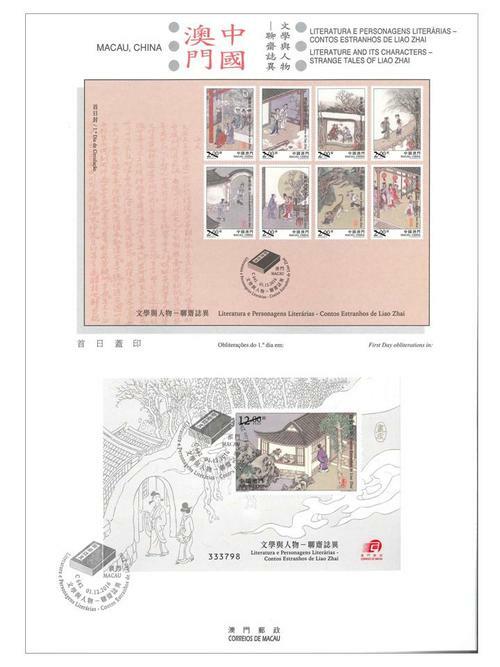 The stamp designer of this issue is Mr. Chen Quansheng, and the text of the information brochure is written by Mr. Liu Jianhui. 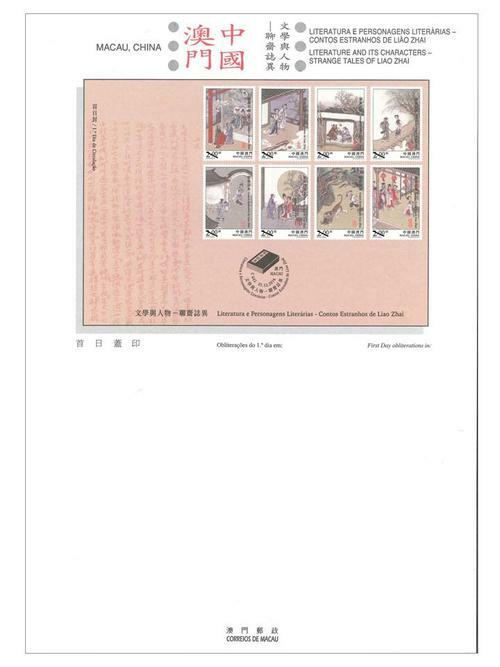 This is the last of the fifteenth theme in 2016. 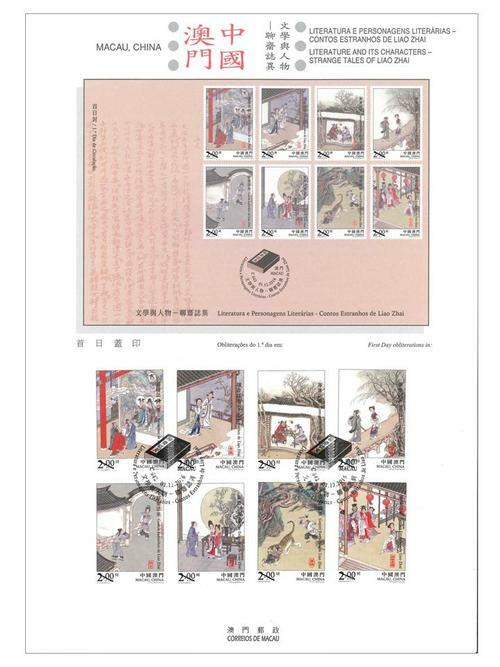 The previous issued stamps are “Lunar Year of the Monkey” on 22/01/2016, the label stamp “Lunar Year of the Monkey” on 22/02/2016, “Scenery of the Imperial Palace in Beijing” on 01/03/2016, “325th Anniversary of the Establishment of the Public Security Police Force” on 14/03/2016, “Chinese Classical Poetry – Ballad of Mulan” on 08/04/2016, “Macao Seen by Chan Chi Vai” on 28/04/2016, “Museums and their Collections V – Maritime Museum” on 18/05/2016, “FIVB Volleyball World Grand PrixTM – Macao 2016” on 17/06/2016, “Mountains and Rivers of the Motherland – Yangtze River” on 11/07/2016, “Games 2016” on 29/07/2016, “Paintings of Macao’s Famous Artists” on 25/08/2016, and “120th Anniversary of the Birth of General Ye Ting” on 10/09/2016, “Chinese Landscape Painting” on 09/10/2016, “150th Anniversary of the Birth of Dr. Sun Yat Sen” on 12/11/2016, and “50th Macao Motorcycle Grand Prix” on 18/11/2016.